Eli Tomac is your fastest qualifier at the 2019 San Diego Supercross. 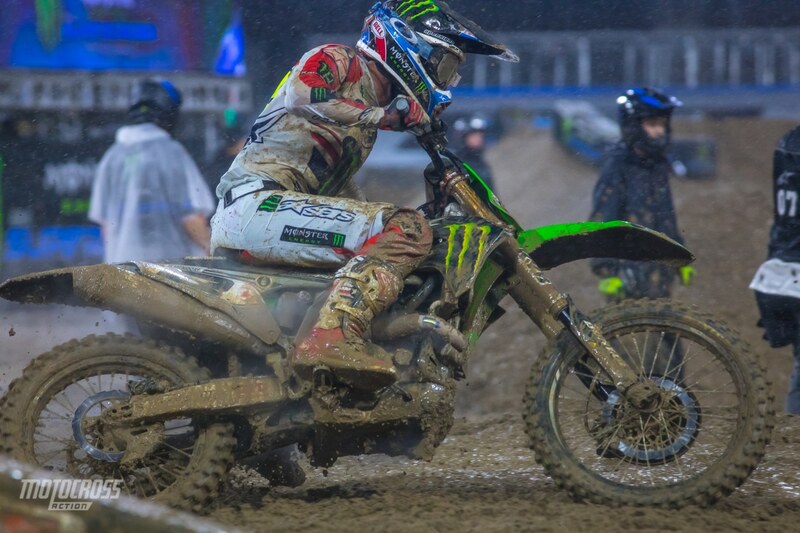 The fifth round of the 2019 Supercross series is here and qualifying got off to a late start today with the shortened rainy day schedule. They cut out the free practice and the first qualifying session. So the riders only had one time on the track, and they had to log in their fast time straight away with out any time to get used to the muddy track. It’s a mess out there and to our surprise many of the riders were still able to jump the triple, the finish line and they were also doubling through the rhythm sections. It was Eli Tomac who qualified fastest, a full second ahead of the 450 points leader, Cooper Webb. 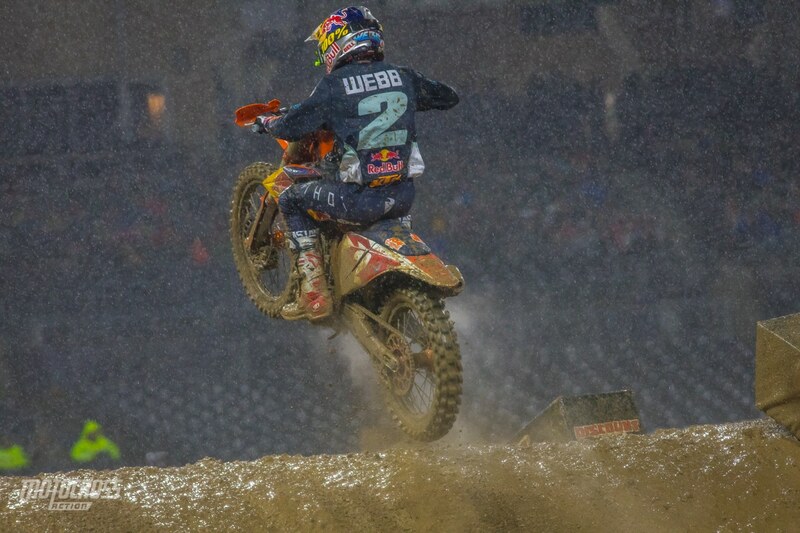 Keep checking back with MXA throughout the night for results, news and photos from San Diego. Cooper Webb, the 450 points leader was leading 450 timed practice until Eli Tomac put in a heater the last last. Justin Barcia won the first mud race at Anaheim 1. Justin qualified 6th.